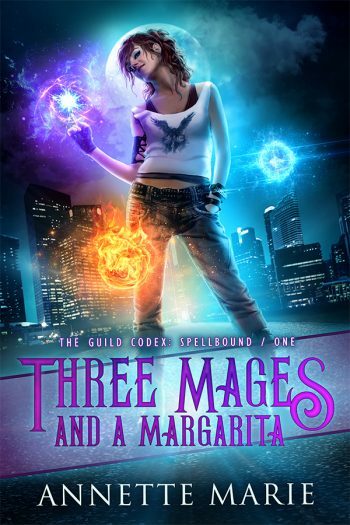 Welcome to the blog tour for THREE MAGES AND A MARGARITA, the first book in the new adult urban fantasy series, The Guild Codex: Spellbound, by Annette Marie. 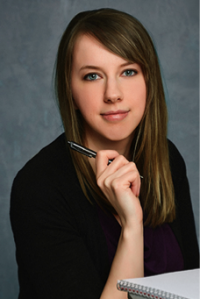 See below for information on the book, buy links, an exclusive excerpt, and details on her giveaway. He snapped his laptop shut and rose, grabbing his black motorcycle helmet. As he joined me, passing over the helmet, I counted the disappointed sighs. We walked away side by side, and feeling the belligerent stares on my back, I gave in to my evil urges and slid an arm around his waist. Amusement flashed in his dark eyes and he pulled me closer. I could almost hear the dismayed growls echoing from the study nook. Swinging the helmet in my free hand, I grinned the whole way through the building. “How many phone numbers did those girls offer you while you waited?” I asked teasingly as we exited the building, an unpleasantly muggy breeze greeting us. A solid blanket of gray clouds loomed above the skyscrapers. “What’s your type?” I asked as we stopped beside his motorcycle. Ohhh I’ve adored two of her books so far! They were fun, action packed and sigh worthy urban fantasy. I need more time to read lol!